On Wednesday 27 March, Edgars transformed its famous red square into a glamorous red carpet for the #BreakOutFashion show. 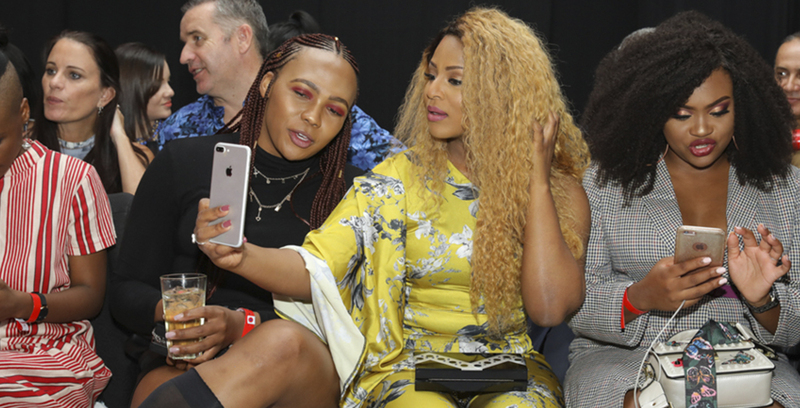 We sent fashion maven Nkgabiseng Motau to rub shoulders with the country’s most stylish celebs and influencers, to find out what they were wearing (of course! ), and to ask them what #BreakOutFashion means to them. Here’s her report. When a red carpet comes out, there’s no doubt it brings with it high fashion and gorgeous people. We saw the likes of Jessica Nkosi, Lerato Kganyago, Roxy Burger and the cutest little star, Dj Arch Jnr, to name a few. It was obvious to all there that the shining couple was rapper Priddy Ugly and his partner actor Bontle Modiselle. Also in attendance were star influencers LexLeo AKA denstist to the stars AKA Dr Smile, Siphokazi Veti, Tshepi Vundla and Nikiwe Dlova. It was a scene full of glamour and ‘oh yes, honey’. Jessica and Lerato both glowed in yellow (trend alert), with Jessica in a flirty floral number and Lerato in a bright power suit. Yellow is the colour right now and its made a bold entrance this winter both on red carpets and on Edgars’ runway. As for the men, LexLeo and the show’s host, Kat Sinivasin, both looked dapper in monotone suits of maroon and navy, and showed us exactly how to nail the tonal suited look. Where was this and why wasn’t I there? The exclusive runway show was attended by invited guests and was held at Edgars’ flagship store in Sandton City. The space was transformed for the most fashionable people in South Africa to shocase their individual sense of style, all while mingling and being entertained by the iconic Sho Madjozi, a fashion icon herself. The store proved to be the perfect setting after the show, as it was open for a little late-night shopping. I chatted to some of the stars and got them to spill the proverbial style tea. What does #BreakoutFashion mean to you?